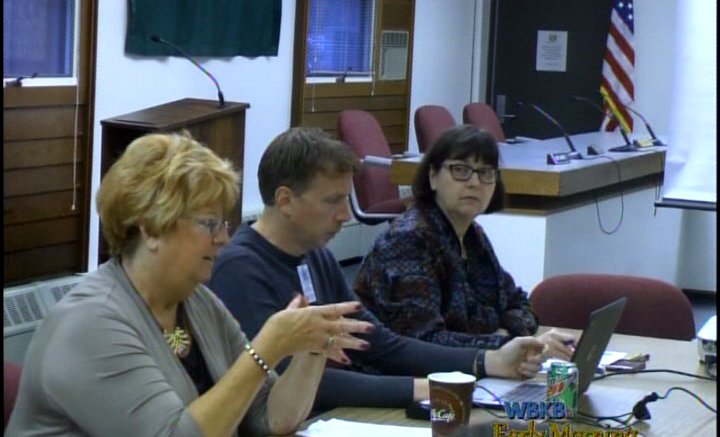 The Alpena Public Schools, Board of Education met earlier to discuss important issues dealing with the rest of the spring semester. There were a lot of topics discussed today during Tuesday’s board meeting. The first group of ‘Early College’ participates will be graduating in may after completing the program receiving over 40 average credits to carry on to college. Coordinator of the program, Lee Fitzpatrick said the numbers are great because of the support from students’ parents and the trust of the program. Fitzpatrick said is selective when choosing his applicants. He said it’s all about grade and attendance trends. The ‘Early College’ started with 35 students three years ago and 27 of those first class students will be graduating from that program. Fitzpatrick revealed that he currently has 54 new applicants that are waiting to see if they have been accepting into the program for the upcoming school year. Two of his ‘Early College’ students will earn an associates degree, and one student will walk away with a welding certificate. The ‘Early College’ graduation will be held at ACC May 16th.